90 days later, and round two of my bread diet experiment is over. I’ve documented the many advantages of eating bread and now I have the end result: 8 pounds lost on a bread diet. 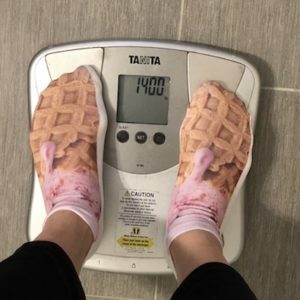 When I started this project, I wasn’t worried about my high-carb diet. But I knew to lose weight would take some extra planning. Here are a few of my biggest takeaways from 90 days of bread. What are the advantages of eating bread? Eating a nutrient-dense food that satisfies cravings and is easy to incorporate in your diet. Say what you will about diets that cut out carbs, like paleo or keto. The truth is, we need carbohydrates in our diets. And research is showing that U.S. adults are deficient in a number of important nutrients that are best made up via eating bread products. Plus, it’s a relatively cheap, accessible food that carries real substance. Is eating bread every day bad for you? No, unless you have celiac disease. Eating bread every day not only gives you the benefits of whole grains, but provides the carbohydrates active people need to function. Bread is healthy for you and has a place in any diet. You won’t gain extra weight if you’re watching your overall calorie input/output. You won’t develop a gluten intolerance. You won’t feel bloated or sluggish. 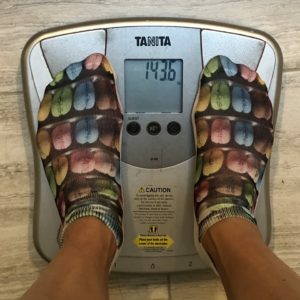 Is bread the reason I lost weight? It’s a big part of it. It helped fight cravings for one thing. Bread also helped limit the variety of my diet. Studies are revealing that too much variety in our diet can lead to weight gain. 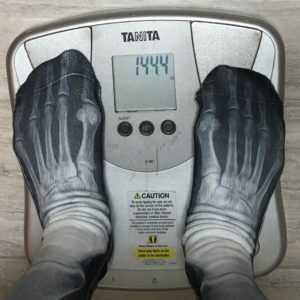 To lose weight I also had to carefully watch my calorie intake, and exercised regularly. However, as I found out with exercise, less is more. By doing some physical activity for just 30 minutes a day, I found I burned the needed calories, but still had energy for staying active the rest of the day and didn’t feel the need to load up on food afterwards. Can I make a bread diet work for me? Absolutely! 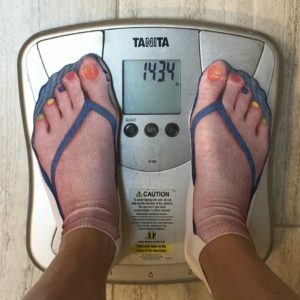 If this experiment has proved anything, it’s that you don’t need to cut carbs from your diet, especially to lose weight. Stay away from complicated fad diets that don’t work and give your body the food it needs. The key is to do what works for you and your schedule. Eat healthy foods. Watch your calorie intake. Exercise. And enjoy bread! If you’re looking for some delicious, healthy loaves to try, check out my bread gallery. 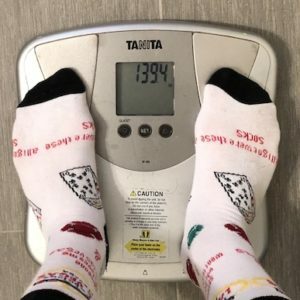 Week 13 final weigh in: 139.4 lbs. Brought to you by the advantages of eating bread. Is bread really the main reason for my weight loss? No. I truly believe that by incorporating bread into my diet, it replaces a lot of the calories from the other foods I usually consume, leaving me with little room for anything else. Therefore, I’m restricting my variety of food intake drastically. In this study, the potential downsides of diet diversity results in having too many choices and leads to higher consumption of food—and consequently, more calories. 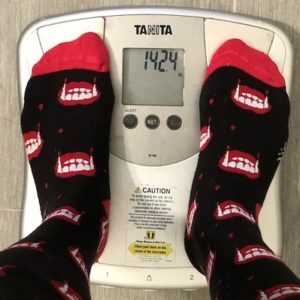 In another review, The American Heart Association reported that overweight people who were offered a variety of foods for their snacks ate 25% more snack servings per week than people who were told they could eat any amount of one favorite snack. The same goes for meals—having more variety of dishes on the table can lead to overconsumption. So, I believe my ability to lose weight on this diet is mainly because I cut off my variety of food from other sources—especially sources that are high in fat and sugar, which are unhealthy. I focused on only eating whole grain bread as my main source of calories, and with that, came the benefits of a diet that was high in nutrition. 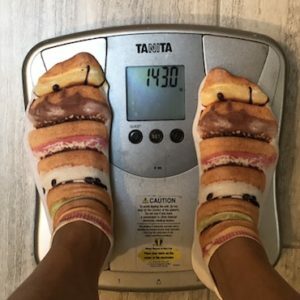 But isn’t this an experiment to show that bread helps with weight loss? My use of the Eat Bread 90 experiment this time around was to show that you can use bread as part of a weight loss diet plan that works with exercise. I have a problem with all the low-carb and keto diets these days because I know that our body need carbs to function. 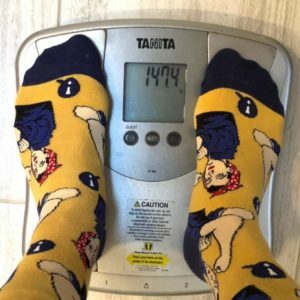 I believe I have personally been effective in losing weight by not following those diet trends, and by sticking to the a restrictive diet plan focused around bread consumption. This affirms again that bread alone doesn’t make you gain weight. Yes. I want you to try out this bread diet. 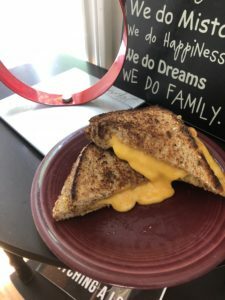 Grab that bag of sliced whole grain bread and follow the diet plan laid out in the first few weeks of my blog. You will see that your appetite and cravings will decrease, and so will your caloric consumption. Don’t forget to visit my bread gallery to look at the different varieties of bread! Lastly, remember, if you can eat it, you can run it off (or exercise). A diet plan without exercise is a half baked idea! 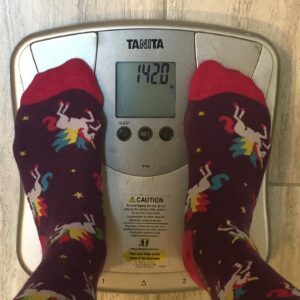 Week 12 weigh in: 140 lbs. Week 7: Wanna Stay Young? Eat Bread! All this nonsense talk about how grains are inflammatory is cow dung. Think you need to cut bread from your diet? Think again. A new study reveals that grain foods—such as bread— are key for providing essential nutrients for missing from adult diets. Across the board, American adults struggle with eating ideal levels of nutrients such as fiber, folate, and iron for women. This shortfall becomes even greater with older generations. So, researchers looked into what food groups could help fill in these deficits, adding energy and nutrition. But to eat bread isn’t the same as eating just grains. The study concluded that grain foods and bread products provide the greatest percentage of the most under consumed nutrients than added calories—or the most “nutrient density” for a diet. Not only that, but the report concludes REMOVING grains will lead to “unintended nutrient intake consequences”—creating a larger nutritional deficit. Grains are packed full of key nutrients that our bodies need to function and be healthy. And as this study shows, bread is one of the most efficient and practical ways to give our bodies what they need. So think about that before you decide to go carb-free! 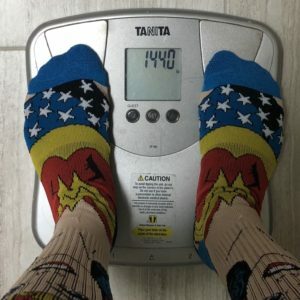 Week 7 weigh in: 143.4 lbs. Don’t you crave for other things on a bread diet? That’s the monotony of this journey. When your diet is so predictable and restrictive, you put very little thought into your meal plan. Someone asked me, “Don’t you have any cravings during the day?” I really don’t. I believe I don’t have any cravings because bread fills me up very efficiently. As you may have noticed, all the breads that I have eaten are mostly whole grain or whole wheat. When I eat a couple of slices of bread, I can feel full for a couple of hours. Not only that, but because bread is so high in fiber and complex carbohydrates, it satiates me and prevents me from feeling any cravings. With most diets that I have tried, especially with low-carb and low-calorie diets, I would be craving the entire candy store by the end of the day. I find it pleasantly surprising that I don’t yearn for that sweet treat at the end of the day. I could pass by my favorite bakery and not buy a cream puff! Overall, a bread diet, even with sugar in the bread, has reduced my total sugar intake in my diet. I wasn’t expecting that! Eat bread, fill full, no cravings. Wow. What a deal! * This week, I am finishing up the bread that BBU Brasil sent me. 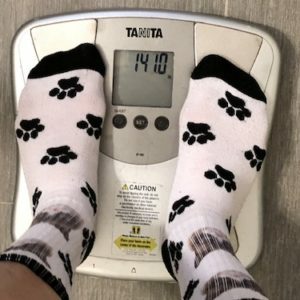 Week 6 weigh in: 143.6 lbs.